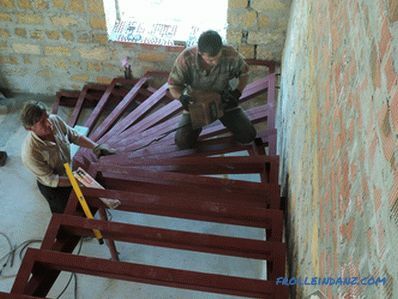 Any modern construction project involves the arrangement of staircases connecting the floors of a residential building. 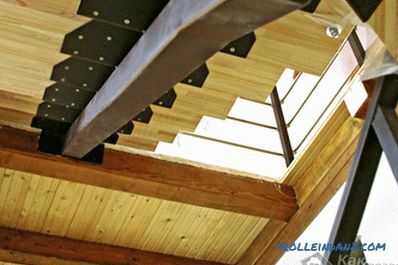 At the same time for the manufacture of the frame of the span are used the most technologically advanced materials, which include the profile tube. 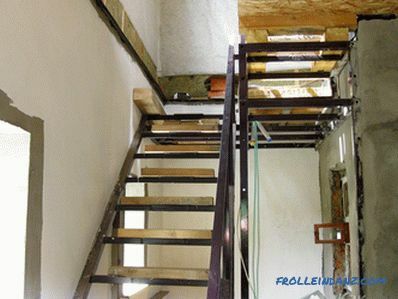 In this article, you will learn how to make a staircase from a profile pipe, as well as be able to familiarize yourself with all the advantages of the construction described. Interfloor structures made of pipes look great in the interiors of modern suburban buildings, office premises and other structures. 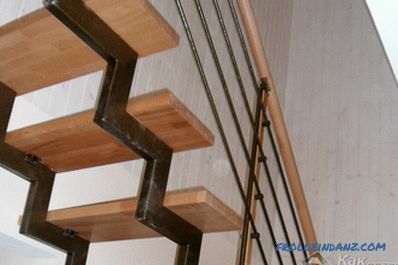 In addition, for the manufacture of stairs of this class today is widely used metal profile section 60x40 mm, the size of which is considered the most optimal. 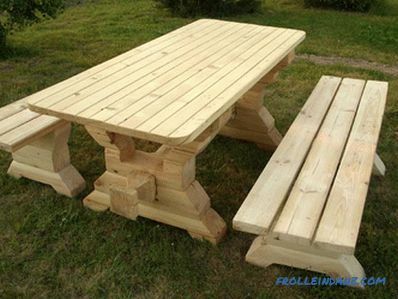 Such a choice is explained by the fact that, at smaller sizes, the strength of the structure decreases, and the profiles of higher dimension make it too bulky and heavy. The technologies used in the production of a profile permit the possibility of dyeing it in any color (by powder spraying). At the same time you will be able to choose the color optimally combined with the interior of the room you are building. Note that silver, golden and black colors are currently considered the most fashionable. 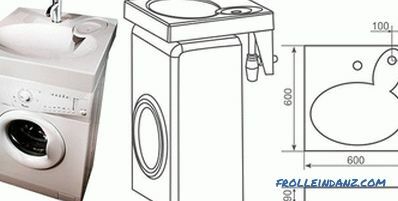 Also note that this design makes it possible to prepare a direct march that allows you to change the direction of its installation by 90 and 180 degrees. 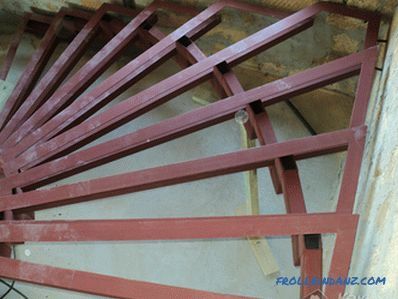 When mounting the base (frame) of the ladder Profile pipe designs are installed and fixed on the platform in pairs, after which steps from the material selected by the developer are mounted to them. 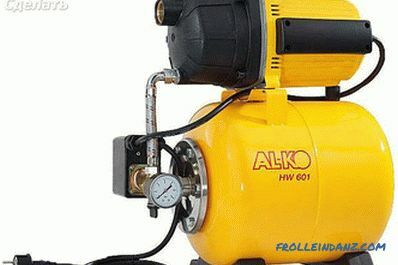 Such an order of work organization implies the obligatory use of welding equipment, as well as possession of skills in handling it. 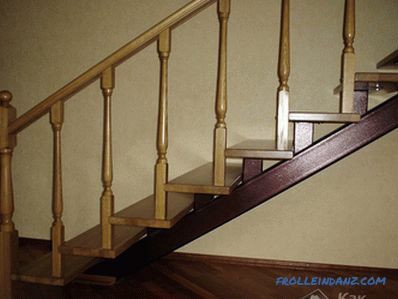 As an example, we suggest you to consider the technique of manufacturing stairs with steps made of wood and a frame made of shaped pipes. The frame base of this design is a pipe with a diameter of 60 mm in combination with a corner having a size of 40x40 mm. First of all, the required number of stages, as well as their main dimensions (height and width) are calculated. 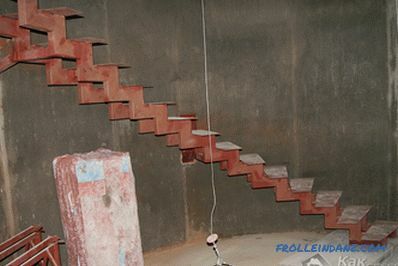 After that, you can proceed to pouring a concrete platform, which acts as the base of the whole structure and provides the required angle of inclination. 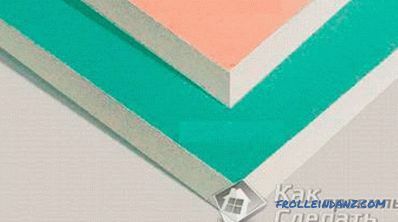 The level of this platform is the zero mark on which the first step of the ladder will be placed. Immediately after this, you can proceed to the installation of the pipe, which is welded on one side to the tabs in the platform, and on the other side is attached to the anchors tightly fixed in the wall. After that, metal corners are welded to the pipe, all dimensions of which must be maintained with a given accuracy. Upon completion of the main works, fences (railings) are mounted on the side of the frame, which can be made of either wood or metal. 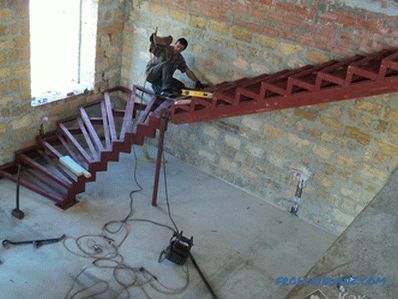 Note that by installing the railing on the side of the supporting frame, you will be able to increase the working width of the staircase. It should also be noted that a passage should be left between the finished structure and the wall in order not to interfere with the ongoing repair work. In order to avoid vibrations that sometimes occur when moving, it is recommended to limit the length of racks in the spans. 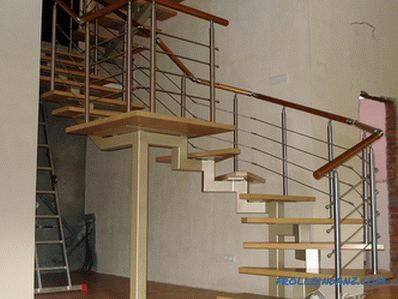 In addition, for the manufacture of stairs from shaped pipes you will definitely need auxiliary materials, among which glass, wood, stone and even ceramics are most often used. The use of any of these materials not only enhances the operational advantages of any design, but also provides it with a completely modern and attractive appearance.